One of the benefits of being a golf writer is traveling to popular golf destinations around the country. 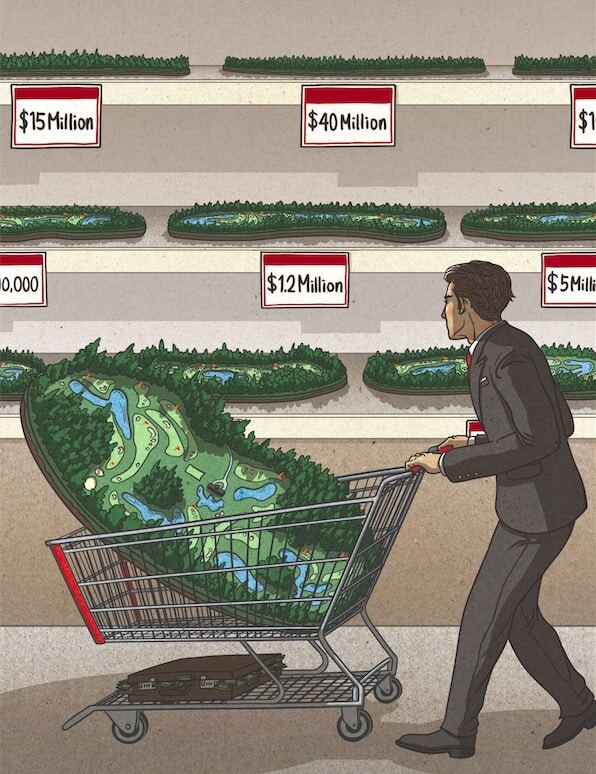 With that travel comes frequent questions from golfers about where they should go next. Until recently, I had a large hole in my resume. I had never played golf in Arizona and had to answer any southwest U.S. golf questions accordingly. After a quick weekend trip to Scottsdale, I can now say I’ve played in the Grand Canyon state, but I also realized just how many courses I missed. 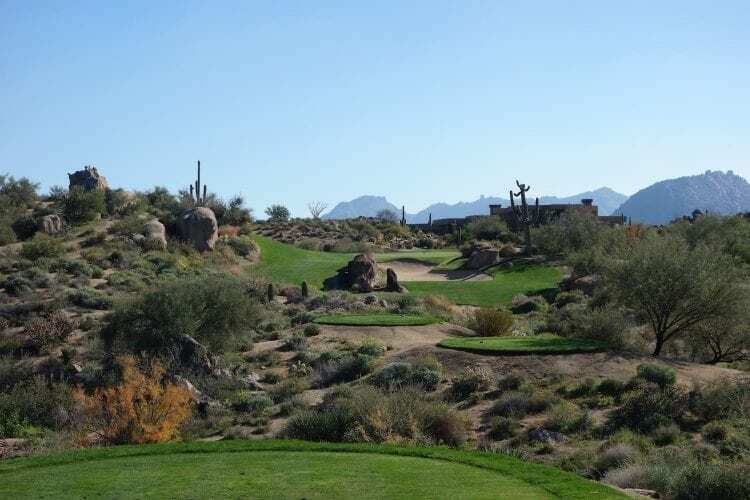 There are more than 150 courses in the greater Scottsdale area alone. 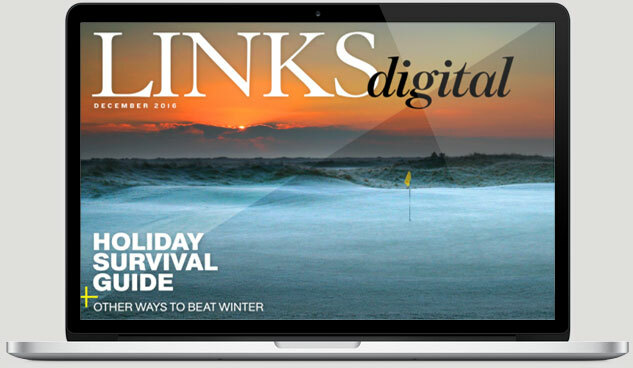 One of our senior editors here at LINKS typically spends a month in Scottsdale each winter to escape the New York City cold. 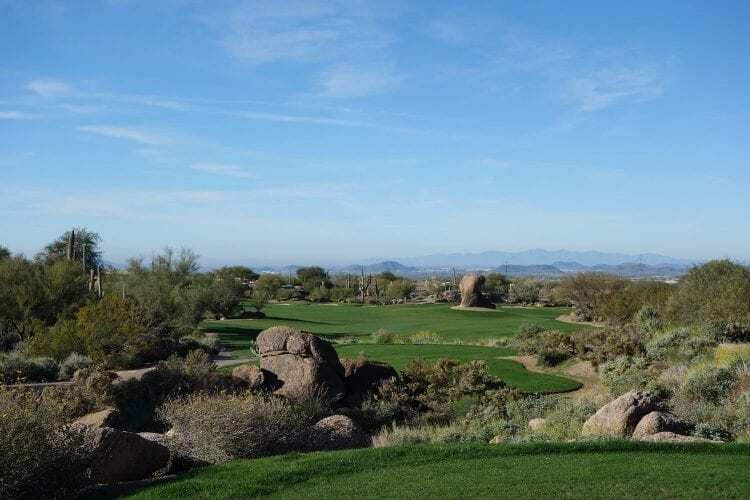 That editor wrote an article with his tips for planning a Scottsdale-based golf trip, which you can read here. The purpose of my visit to Scottsdale was to play in the Troon Challenge at Troon North. Over 1,000 players at Troon-managed courses across the country tried to qualify for the Troon Challenge finals at Troon North. As one of those lucky aforementioned golf writers, I leapfrogged the qualifying stages with fellow golf writer Ryan Walker as my partner. 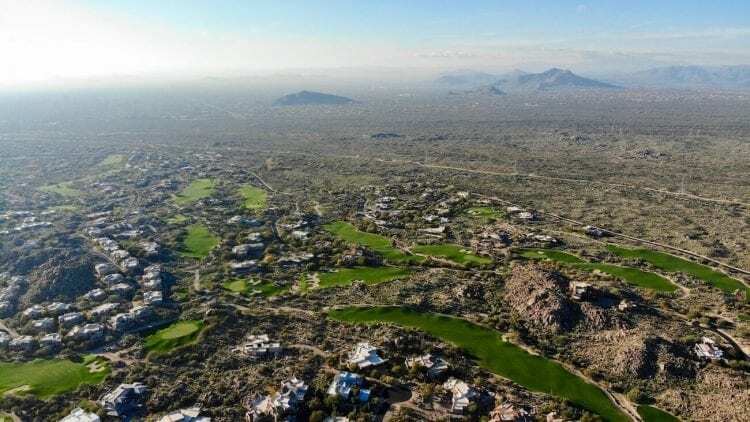 We played 36 holes between Troon North’s Pinnacle and Monument designs and stayed at the Four Seasons Scottsdale, which is nestled into a mountainside a short shuttle-ride from the courses. Even with my lack of Arizona golf experience I entered this trip understanding the importance of accuracy off the tee. The landscape is the Sonoran desert around Scottsdale is dry, rocky, and sandy. 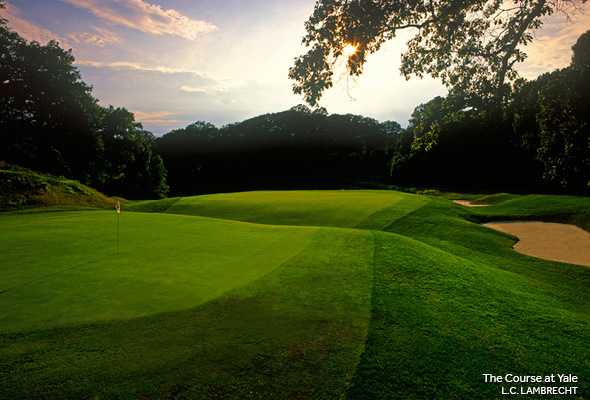 If your ball strays from the lush green fairways or rough, it’s almost certainly unplayable, if not lost. Further, most courses institute a local rule stating the desert areas are lateral hazards to discourage golfers from wandering into snake and other dangerous habitats. In the last two years Pinnacle and Monument were re-grassed and their bunkers renovated. 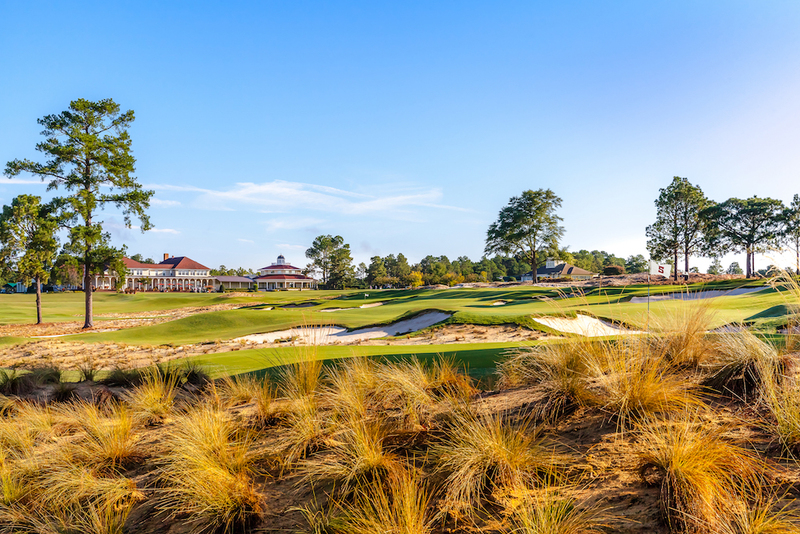 The greens were expanded back to their original sizes as Tom Weiskopf intended on the older Monument course and then Weiskopf and Jay Morrish designed later on the Pinnacle Course. Both designs are considered some of the best-conditioned in the area, due in part to their bentgrass greens, which stay green year-round and require no overseeding. Our group was split on which course was more enjoyable, but I prefer Pinnacle, which has fewer homes bordering the course and a generally wider feel throughout. The famous photo from the property is taken on the Monument course’s 3rd hole, where a giant rock (the monument) sits in the middle of the dogleg right’s par 5 fairway. The story goes that crews tried to remove the boulder during construction, but gave up the fight and designed around the feature. Off the courses, locals and visitors integrate the desert landscape into everyday life. I met more hikers, dog walkers, and people exercising on the trails around Four Seasons Scottsdale than I’d seen in years. Most had the goal of summiting nearby Pinnacle Peak, which provides stunning views of the area. The Four Seasons Scottsdale has also renovated their facilities in recent years and frankly, it was as much of a highlight as the golf. I left Scottsdale thinking of the LINKS senior editor who spends his winters in the area… I totally understand why he does. 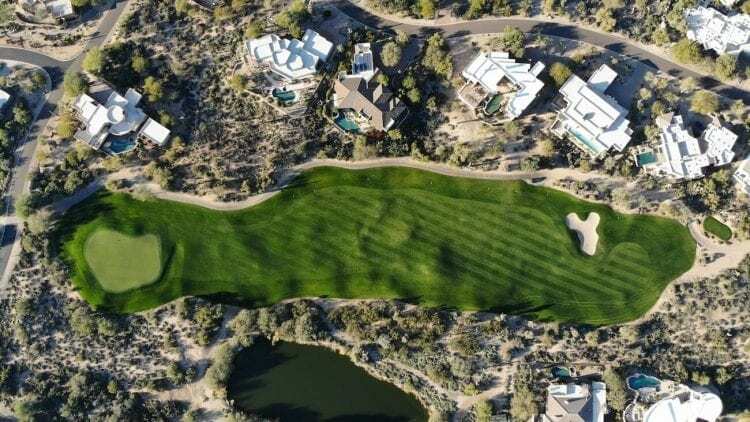 What’s your favorite golf course in Arizona? Tell us in the comment section below!